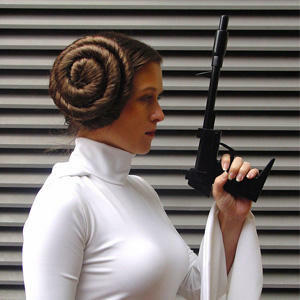 Fans have two main methods for creating their own custom Star Wars apparel – sew a garment from Star Wars printed fabric, or create a garment inspired by a Star Wars costume. The most popular choice is the the combination of printed fabric and store bought pattern – commercial patterns include step by step instructions for beginners, and there are countless apparel designs to choose from. But what about fans who prefer the more subtle inspired outfit approach? 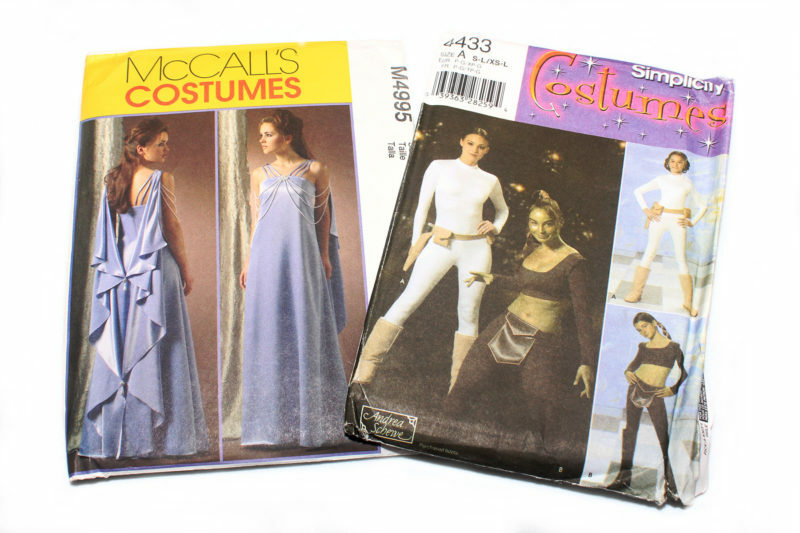 If you aren’t confident drafting a custom sewing pattern, there are Star Wars inspired options available from commercial pattern companies.While the Star Wars inspired patterns are typically found in the costume category, some items can also be used for regular apparel. 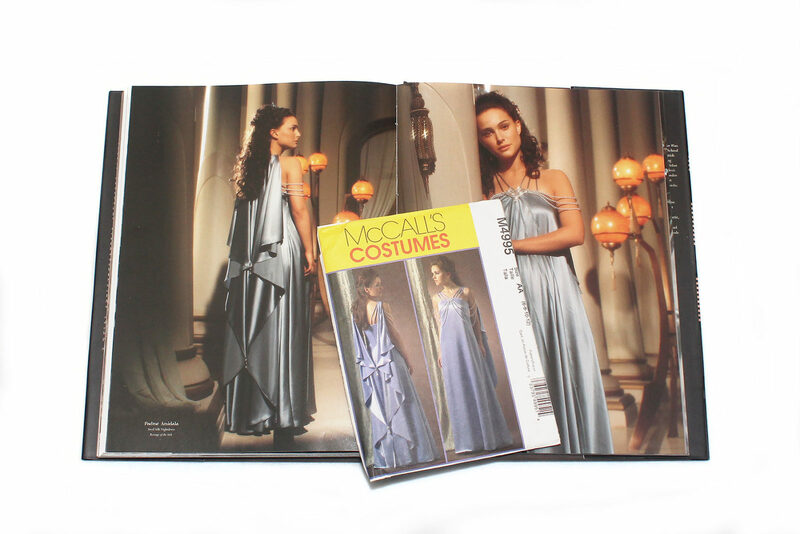 For example, the MCall’s Padme’ Amidala inspired dress design is not designed to accommodate a ‘baby bump’ like the real costume – the simpler McCall’s design is much more suitable for normal wear than the original version, but still keeps the lovely waterfall drapery and shoulder strap details. 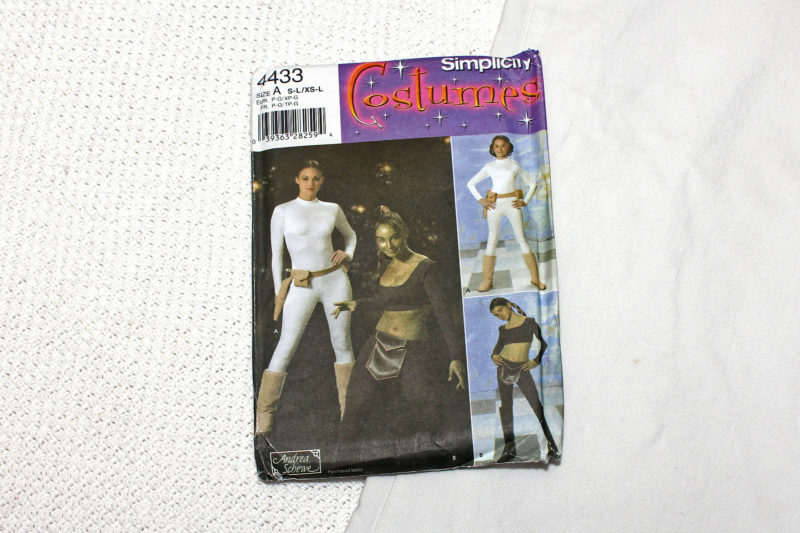 Likewise, the Simplicity Padme’ Amidala ‘Geonosis Arena’ inspired costume pattern includes a long sleeve top with distinctive chest seam detail, which is a great subtle Star Wars themed garment when paired with other apparel – no pattern editing required. So where can you find Star Wars inspired sewing patterns? Pattern companies routinely retire older designs, but you can often find out of print patterns on Etsy and eBay. Here are the most commonly used Star Wars inspired patterns – shipping options/pricing varies by seller. My own pattern collection includes two Star Wars inspired sewing patterns – one inspired by Padme’ Amidala’s nightgown in ROTS, and one inspired by the AOTC costumes of Padme’ Amidala and Aayla Secura. These are all costumes on my to-do list, but I bought these patterns with a secondary plan in mind – creating subtle Star Wars garments for my every day wardrobe, as there is a frustrating lack of licensed Padme’ Amidala inspired women’s apparel.